If your product UX is bad, it doesn’t mean that your product is, but by ignoring the most important part of your business – your product users, you are not heading for mind-blowing success. Let’s take a look at 7 simple UX Design aspects of your product that could be negatively impacting the financials of your business. You’d think that by now, almost in 2018, everyone would understand the importance of this. from a user perspective; a site or product that takes more than a few seconds to load is annoying at best, detrimental at worst. At Muze, we find a frustrating products as a source that could teach us something new, by analyzing it from the user’s perspective. This is the foundation stone of UX Design; that helps in the creation process of new products which are intuitive, responsive and doesn’t cause frustration. To be extraordinarily creative, the temptation is to pile lots of features. What you might fail to consider is that each addition that is not absolutely necessary makes more misery and confusion for the user. In that case – less is always more. When new user try your product, are they inspired or are they bored? Whatever your product, the user should be drawn to engaging with it; whether it’s to click the button, play the video or scroll down. 5. Is the User Flow clear? User Flow is the path that a user will take through your product, think of it like a journey in the car. Which lane will you be in if you want to turn off to a new route? If you want people to stay on the road, how must the road be designed? If the user doesn’t find a clear route through your product, they won’t find the tools & features you want them to benefit from. A website or product that doesn’t look fresh is waiting to be skewered by users. The trick is to use elements that can be changed periodically. It is as simple as that! We’re talking about design and content; think ahead. 7. Is the business model considered in the UX ? If your business model doesn’t take the UX into account, you might be in trouble. UX needs to be the core of your business so that the product value is carried through every team/department – from Marketers to Front-End Developers and everything in between. The post 7 simple UX Design aspects that impact your business. appeared first on Muze Magazine. UX & Web Design agency from Tel Aviv. 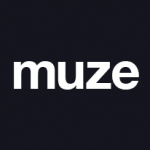 Muze specialize in delivering reliable and high quality UX design which complies to all mediums.